With Samsung Pay, you can spend money on your Lydia account in all shops or restaurants that accept contactless payments. These contactless payments from your Samsung phone even work abroad thanks to Mastercard. To set it up, all you need to do it head to the final tab on the app, and tap on “Use Samsung Pay”. Then, simply follow the instructions. 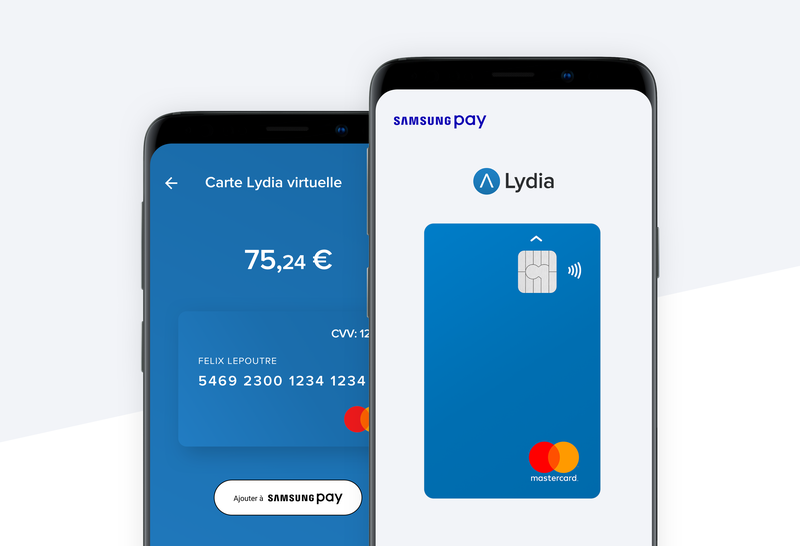 Lydia automatically sends the necessary information to the Samsung Pay app. In a few seconds, you will be ready to make your first payment. First of all,make sure you are eligible for Samsung Pay in Lydia.lick here to see how to do so. To find out in a little more detail how to configure Samsung Pay in Lydia, click here. Samsung Pay uses NFC (Near Field Communication) technology from your phone to make contactless payments. This technology is similar to how you can make contactless payments with your card,however there is an extra degree of security. The payment will be authorised by Touch ID, a pin code or iris recognition. It is secure, and the only limit is that of the card. More information on paying with Samsung Pay. Don’t have a Lydia account yet? Download the Lydia app in order to use Samsung Pay starting today.